Born in Syria, Hani has been in Canada for 8 years. He is currently in his 3rd year of pursuing a BBA and is specializing in Finance and Accounting. He has diversified his university involvement by joining the Engineering Baja Team as a Business and Financial analyst and competed in the 2018 intercollegiate design competition organized by the Society of Automotive Engineers (SAE) in Portland in 2018. He is also competing in the CFA Societies Canada Ethics Challenge in 2019 and took a Co-op program that has provided him with a year’s worth of work experience in the finance and investment sector before graduation. A Charlottetown native, Taylor is a 4th-year Business Administration student with a concentration on Accounting. Having started a mental health awareness group at her local high school, she continues to advocate through national programs such as Kids Help Phone and Bell Let’s Talk. She also has a passion for bettering her community which is demonstrated through her involvement with the Community Volunteer Income Tax Program and coaching young women in both basketball and volleyball. Going forward, Taylor plans to work towards her law degree and practice in business law. Born and raised in Charlottetown, Prince Edward Island, Alec is a 4th year Bachelor of Business student studying Accounting. 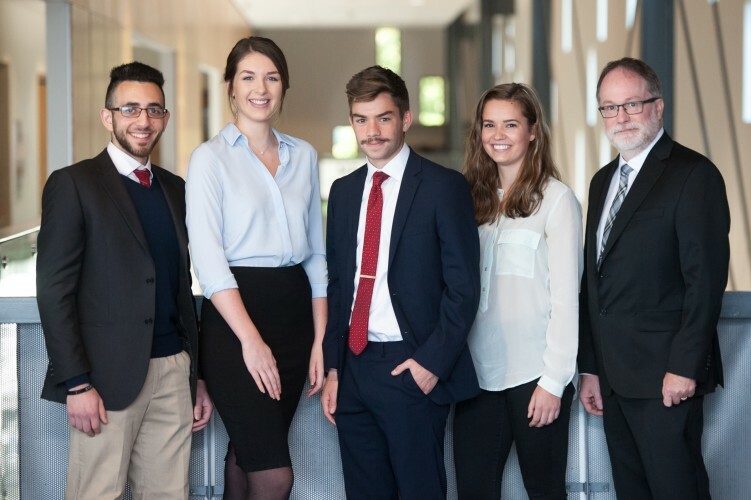 Alec is taking part in the CFA Societies Canada Ethics Challenge. He is an active runner and competes with UPEI’s Cross-Country and Track teams. Alec is the treasurer for Charlottetown’s District 13 political organization and has also volunteered his time coaching hockey. When Alec is not studying, running, or volunteering, he likes to read and write poetry. He has had his poetry published in a children’s book. Olivia was raised in Charlottetown and is a 4th year business student at UPEI. She also received her Marketing and Advertising diploma from Holland College where she completed a marketing internship with a hotel chain. She then continued to work in marketing and served as marketing assistant for the organizers of the Cavendish Beach Music Festival for their ten-year anniversary. Olivia is currently competing on UPEI’s international case competition team and enrolled in the Co-operative education program. She plans to pursue a career in the rapidly growing cannabis industry. Bill is an Assistant Professor at the University of Prince Edward Island, teaching in the Accounting area for undergraduates and graduate students. With more than three decades of experience, he has worked in many natural resource, manufacturing, and service industries as well as public service organizations. A member of the Board of Examiners for CPA Canada, he has worked on numerous committees to ensure the Canadian CPA remains the preeminent accounting body. Bill’s current area of research is Indigenous Business Models for the community, business, and governments. For more than a decade he has helped coach many student case teams.